The newest program available through the YouTube Red subscription service is looking to get women excited about coding. Hyperlinked, a ten-episode show that follows girl group L2M as they construct their own website, is now live on Disney’s YouTube channel. 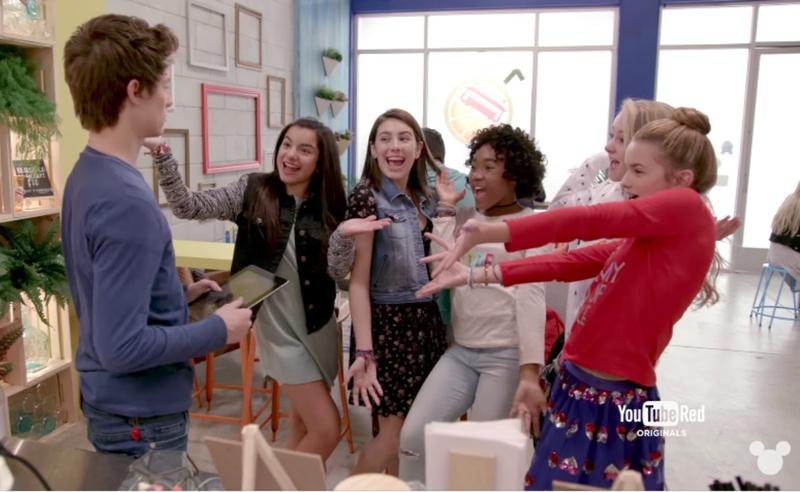 In Hyperlinked, the leading ladies of L2M portray a gaggle of girls who design a digital hub that is “by girls for girls.” At the center of the show is an inspiration message about women in STEM, which is combined with the sort of tween drama you’d expect to find on the Disney Channel. If you don’t understand the slang terms featured in Hyperlinked’s trailer, you may not be part of the show’s target audience. For L2M — which is chatspeak shorthand for “listening to music” — Hyperlinked isn’t the first venture into girl-power media. The group rose to prominence after its song “Girlz” was featured in a direct-to-DVD movie based off the Lego Friends toy line, which is aimed at women. YouTube Red is a logical home for Hyperlinked, as the world’s top video site has oft looked to inspire women to get into STEM. In 2015, for example, it distributed Codegirl, a documentary about women in tech. As for Disney, Hyperlinked is one of the first projects to come out of the newly-named Disney Digital Network, which combines the Mouse House’s own brands with its Maker Studios property. The first episode of the network’s new show is free on Disney’s YouTube channel; to access further installments, a $9.99-per-month YouTube Red subscription is required.